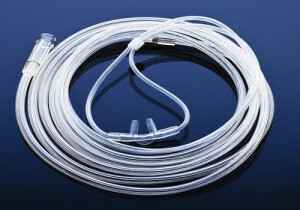 PAWTUCKET, RI, U.S.A., February 4, 2015: A breakthrough in PVC technology now makes it possible for rigid PVC to replace polycarbonate (PC) in clear medical components such as connectors and check valves, obtaining comparable strength and clarity while reducing or eliminating the stress cracking that often occurs in PC at the interface with flexible PVC components such as tubing. Apex SCR rigid PVC compounds meet biocompatibility standards like ISO 10993-1 and USP Class VI, can be sterilized by gamma, EtO, and heat methods, have good heat stability, and are easy to process. They offer a cost savings compared with resins that may be over-engineered for the application.